In this article, we’ll be looking at the Kawai ES7 and reviewing its features and seeing how well it stacks up against instruments like the MP7, the ES100, and the CE220. 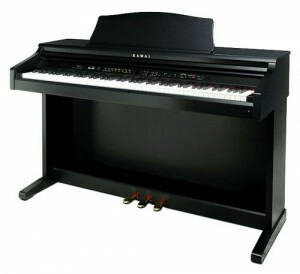 The Kawai ES7 is a stylish 88-key portable beginner piano that is available in two colors: Gloss Black or Ivory White. This instrument is compact and travels very well or can simply be played at home. The ES7 features Kawai’s Responsive Hammer II keyboard action that simulates the feel of a fully weighted acoustic piano through a triple sensor system that detects how hard or soft a key is played. The keyboard action is also equipped with reinforcements that lessen horizontal key movement while playing loud or detached passages. The keyboard also features ivory simulated keys for a realistic feel. An interesting feature called the “let-off simulation” attempts to copy the feeling of softly playing the keys and feeling the “notch” sensation. This adds to the overall realness of the keyboard. To get an authentic acoustic piano sound, the Kawai ES7 uses Progressive Harmonic Imaging technology, a sound technology that takes the sound of the acclaimed Kawai EX concert grand piano and transfers that sound to the Kawai ES7. The Virtual Technician feature allows the pianist to personalize, create, and save their signature sound through adjusting hammer and key release noise as well as string, lid, and damper resonance. Also adding to the personalization of sound are the many digital effects the ES7 contains. Effects such as reverb, chorus, delay, auto-pan, and tremolo effects add to the overall playing experience. In fact, the reverb feature really enhances the playing by allowing you to choose one of six possible environment resonances, from a practice room to a concert hall. And with 32 voices that range from different types of piano to mallet instruments, the Kawai ES7 has enough choices to entertain all levels of pianists. Finally, the Kawai ES7 has great recording capabilities, with the option of playing back MP3 or WAV files and uploading them to a computer for personal enjoyment, editing, or sharing with family and friends online. The Kawai MP7 is a piano aimed at the professional, gigging musician. Its 256 voices, 129 reverb effects, and 5 types of amp simulators are proof of this instrument’s focus on the advanced pianist. However, the Kawai MP7 actually shares many features with the Kawai ES7, such as the Responsive Hammer II action, the Ivory Touch key surfaces, and 256-note polyphony. Despite the similarities, it’s clear that while the ES7 is aimed toward all levels of pianists, the MP7 is for professionals. It has a 4-band EQ function, a tone wheel organ with drawbars, and effects like stereo delay, classic tremolo, phaser, and rotary. The really interesting feature of the MP7 is the tone wheel organ simulation. This feature has 9 adjustable drawbars that function in real-time, chorus/vibrato settings, and percussion controls. There is also the ability to fine-tune the drawbar registrations. The MP7 comes with a big LCD display, four control knobs, and an easy-to-use panel interface that gets you immediately playing. This keyboard also features 256 setup memories that allow the pianist to set up their instrument settings for different gigs ahead of time. With all these detailed features, the MP7 is quite different from the ES7, though they do share basic feature similarities. The Kawai ES100 is another 88-key digital piano that we’ll compare the ES7 to. Like the MP7, the Kawai ES100 is a stage piano made for travel and heavy performance use. But unlike the ES7, it has features that both the beginner and the advanced artist can appreciate. Like the other two instruments, it uses Kawai’s Harmonic Imaging technology for a brilliant, realistic tone. This 33 pound digital piano is a lightweight, portable instrument that plays like an acoustic piano, thanks to Kawai’s signature Advanced Hammer Action IV-F technology. 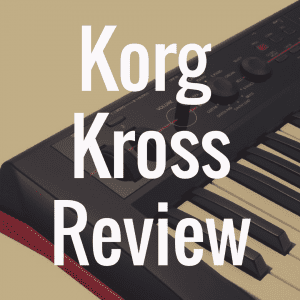 This means its keybed has graded hammers just like those on an acoustic piano, allowing for overall playing control and varied musical expression. The ES100 has 192-note polyphony (lower than the other two pianos) and 19 voices, ranging from electric pianos and organs to choir and strings. Also, like the other instruments, the ES100 has a recorder, though this recorder only holds three songs. As mentioned earlier, though this is a stage piano, the ES100 has features the beginning pianist can use, like the lesson function that allows you to play through etudes and songs from Alfred course books. Under this function, the tempo can be changed to accommodate the learner and hands can be played separately for extra practice. The dual/split function allows the pianist to duet with another person, as well. The ES100 seems to be a piano that is great for the beginning musician that practices at home, and also for the professional who may not want all of the fuss of the MP7, but still wants a high-quality instrument with a solid feel and tone. The final keyboard we’ll compare the ES7 to is the Kawai CE220, a keyboard designed for all levels of pianists. Like the ES7, the CE220 is modeled after Kawai’s famous EX concert grand piano. It features the Kawai AWA PROII action, a technology that gives the CE220 its fully-weighted key feel. This technology is a combination of graded weights and counterbalanced keys, and it gives the keyboard the authentic feel of an acoustic piano. The AWA PROII action is one of the reasons the CE220 is a popular choice, as well. Also, the CE220, like the ES7, has USB connectivity which allows you to record and save your playing to a flash drive. The CE220 has 192-note polyphony, 22 instrument sounds, dual and split mode, and even 4-hands mode, which turns the keyboard into two 44-note keyboards for duets and/or teaching. 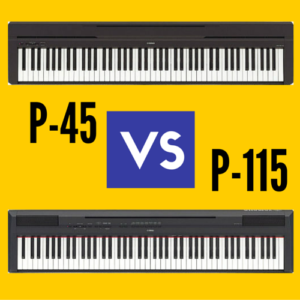 Both of these instruments have a realistic piano sound to them, thanks to the Progressive Harmonic Imaging technology and 88-key piano sampling. I personally enjoy the tone of the ES7 more than the CE220, but they both have comparable sound. We have compared the Kawai ES7 to three other pianos–the Kawai MP7, the Kawai ES100, and the Kawai CE220. 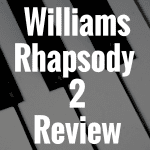 We have looked at similarities and differences and come to the conclusion that, while the MP7 and the ES100 are stage pianos designed more for the professional musician, the ES7 and the CE220 are beginner-friendly and aimed towards pianists of all levels. Overall, the ES7 seems to me the best pick as it is versatile, playable at home or can be taken to gigs, and has a realistic piano tone. 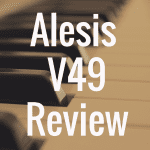 I hope this guide has been a helpful aide in seeing which piano will work best for you. 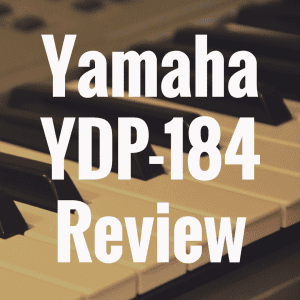 Digital Piano Review Guide offers readers reviews of digital pianos and keyboards. Please also like us on Facebook! What’s the Best Kawai Digital Piano? 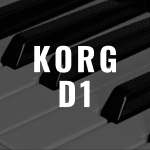 Korg D1 review: Better than the Korg B1 and Yamaha P-125?